Transformative Politics: Greens pointed to a range of justice-system policies and practices that must be halted, overturned, and outlawed. Greens pointed to a range of justice-system policies and practices that must be halted, overturned, and outlawed. 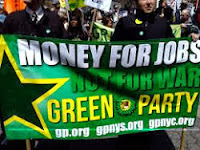 WASHINGTON, D.C. -- The Green Party called for passage of a U.S. House bill that would secure the right to vote in national elections to ex-felons who have served their time. A Senate version of the bill was introduced by Sen. Ben Cardin (D-Md.). Greens also urged passage of legislation in states to grant full voting rights in state and local elections to felons on completion of their sentences. Under current disenfranchisement laws, one out of every 13 African-Americans is prohibited from voting in the U.S.
"There is no reason to restrict the democratic rights of citizens convicted of crimes after they've paid their penalties. By enacting laws that disenfranchise ex-felons, states have weakened the voting power of communities whose members are disproportionally arrested, prosecuted, and convicted. Like 'Voter ID' laws and the Supreme Court's recent repeal of Section 4 of the Voting Rights Act, disenfranchisement of ex-felons serves no purpose except to deny voting rights to Blacks, Latinos, and the poor," said Thomas Muhammad, co-chair of the Green Party Black Caucus (http://www.gp.org/black-caucus). 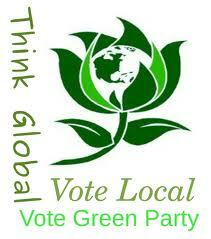 The Green Party supports an end to the drug war and the overturning of convictions based on drug violations. Greens said that the repeal of marijuana prohibition laws should include release of all prisoners convicted on marijuana charges, with marijuana charges expunged from ex-offenders' records. "We've seen over and over how state and local governments, police, and courts have conspired to abuse and deny democratic rights, especially the rights of people of color. In 2000, Republican officials in Florida manipulated lists of ex-felons to obstruct Floridians without criminal records -- most of them Black -- from voting in a presidential election. The Justice Department's recent report on policing practices in Ferguson, Missouri, in the wake of the police shooting of Michael Brown, revealed a conspiracy by police, prosecutors, and courts to turn Ferguson's Black population into wanted criminals in order to shake down the latter for revenue, with practices that are very likely employed in many other municipalities for the same purpose," said Sanda Everette, former co-chair of the Green Party of the United States and co-chair of the Green Party of California. "In demanding an end to disenfranchisement of ex-felons and full rights and equality for returning citizens, the Green Party calls attention to the U.S.'s record-high incarceration rate, proportionally the highest in the world. This shameful fact is made possible by unrestrained police and prosecutor power, zero tolerance, mandatory sentencing, plea-bargaining abuses, 'broken window' and military-occupation policing, racial profiling, 'stop and frisk', and a private prison-industrial complex that boosts profits by filling up more cells. These are police-state conditions, they've been enacted by both Democrats and Republicans, and they are lethal to democracy," said Darryl! L.C. 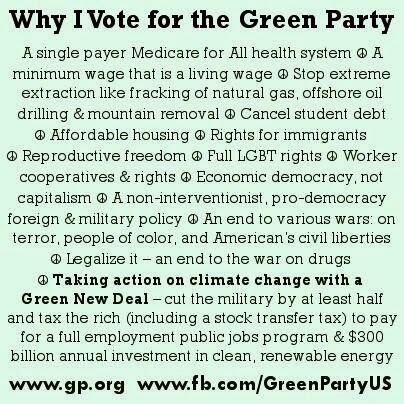 Moch, co-chair of the Green Party of the United States.